I was able to go to the spin class at the Y on Monday since I had some extra time in the morning because the kids didn’t need to be dropped off at camp. There were only three of us in class due to the holiday and class was hard! My legs were so heavy after my weekend of running and piyo, but it felt great to start the week with a good sweat. 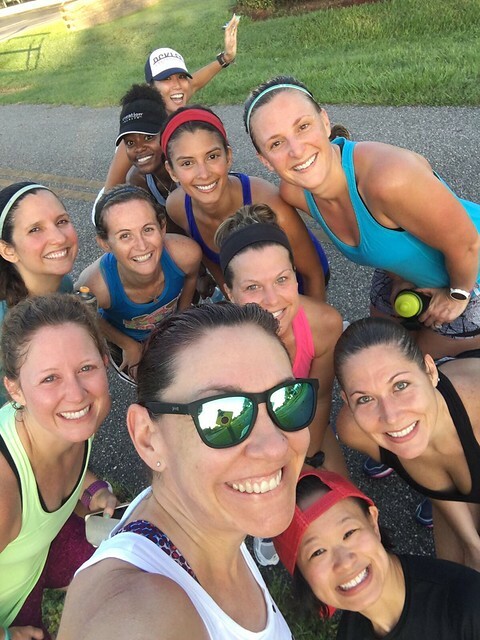 For the 4th of July, I headed out to run an overpass with the girls for our hills workout. We were able to start a little later at 6am since no one had to go to work. 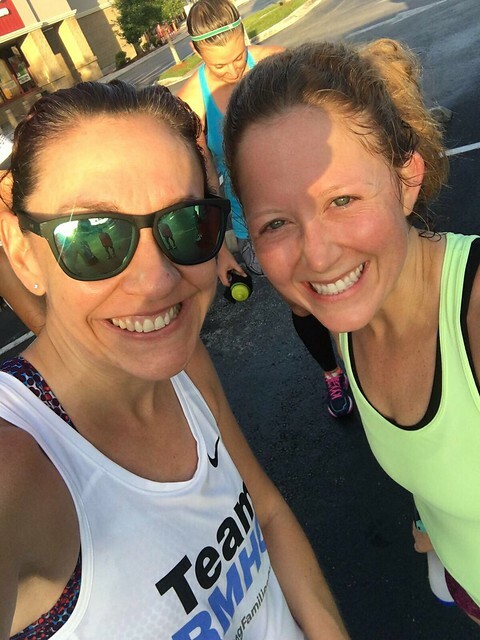 Our hills workout was one mile warm-up, four miles of hills, and one mile cool down. I absolutely crushed this workout! It was hard, but I felt so good afterwards. My pace was also considerably faster than I expected it to be. My splits were: 10:03, 9:06, 9:44, 9:33, 9:32, 10:00. Afterwards, we took a family trip to the Y and I did some strength training (arms and abs). Rest day! But I’m also calling it a cardio day based on how much we walked after the Metallica concert at midnight. I opted to sleep in on Thursday morning since I didn’t get into bed until almost 1:00am. I headed to the Y after work to get in my 5 miles. Running on the treadmill is certainly not as fun as running with friends, but I did a fast 5 miles while I listened to a podcast. 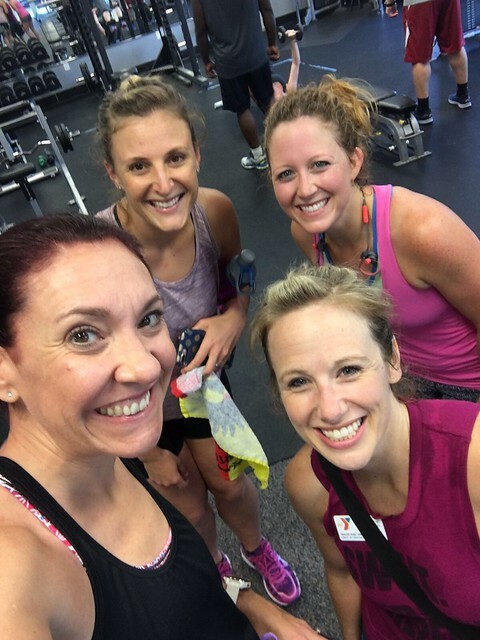 I did run into these ladies after they finished piyo! I met Heather at the Y for some time on the spin bike. I hadn’t seen her all week so we caught up while getting our workout in for the day. 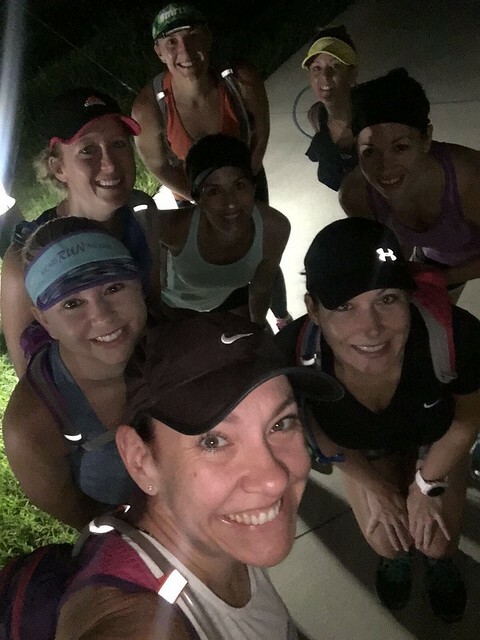 Our long run on Saturday was from Oviedo to Winter Springs on the Cross Seminole Trail. My alarm went off at 4:10am and I was out of the house by 4:30am. 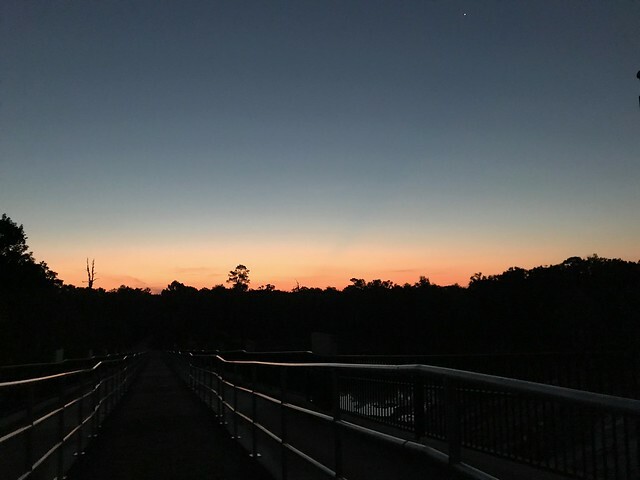 It was so great to run in a different part of town and I just love the trail. We got in 14 miles! This was my longest run EVER! The last couple of miles ended up being tempo at a faster pace since Michelle had to get back to go home. Surprisingly, I was able to do it and it felt good. Painful, but good. I had 4 miles on the schedule for my recovery run on Sunday. 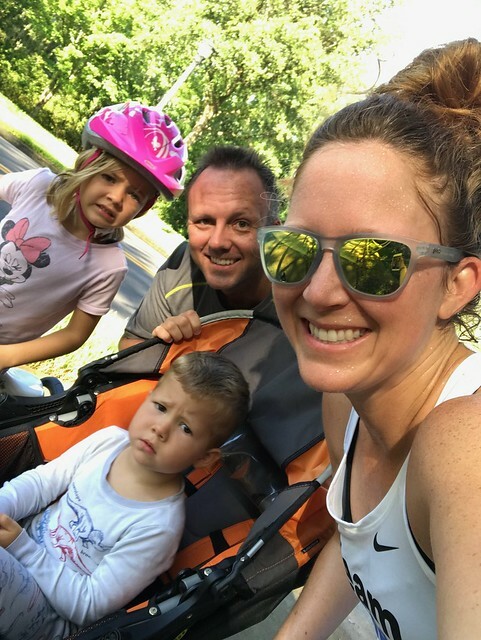 I ran 1 mile, then picked up the rest of the crew for a family fun run. I pushed Crosby’s in the stroller for 2 miles and we stopped at Starbucks to get coffees for later. I ran the last mile without pushing the stroller. 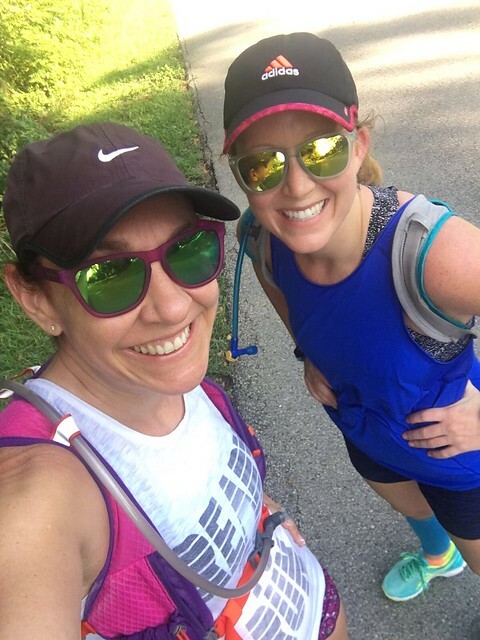 It was so hot and a hard run, but I was thankful to have some great company!